This species is easily confused with Microseris nigrescens, but can be distinguished on the basis of its conspicuously hairy herbage and involuvcre as compared to nearly glabrous herbage of Microseris. 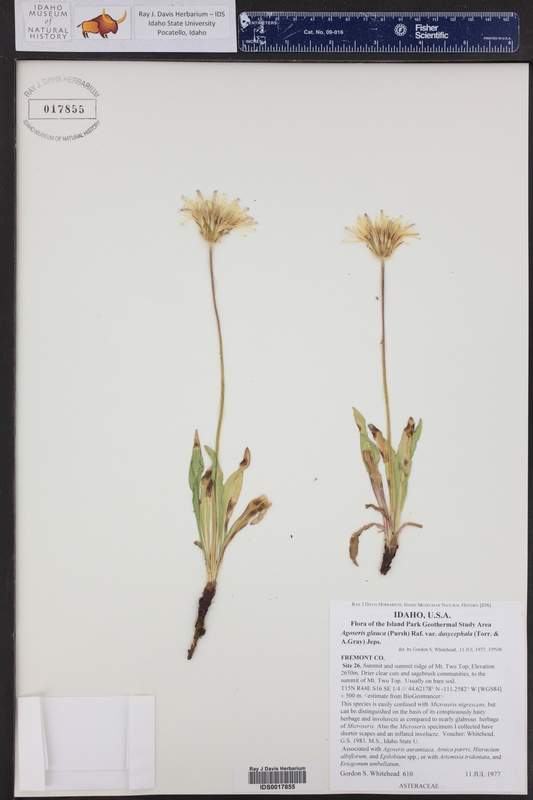 Also the Microseris specimens I collected have shorter scapes and an inflated involucre. Voucher: Whitehead, G.S. 1983. M.S., Idaho State U. Flora of the Island Park Geothermal Study Area. Duplicates to: IDS, RM.